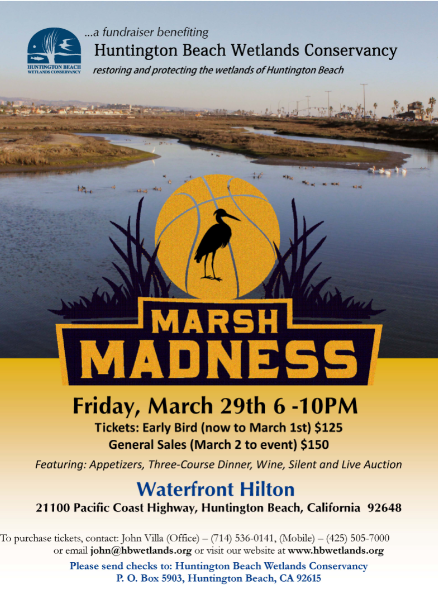 The Huntington Beach Wetlands conservancy welcomes you to join us for our first ever Marsh Madness Gala on March 29, 2019! This event will be held at the Waterfront Hilton, and from 6 pm - 9 pm, there will be appetizers, a three-course dinner, wine, and silent and live auctions. To purchase tickets, you can contact our Executive Director John Villa by phone at(714) 536-0141 or email; or you can buy tickets online here. We hope to see you for an exciting evening! The HBWC has begun monthly community events to assist us in the care and maintenance of our marshes, dunes and projects, e.g. Salt Marsh Bird's Beak, Upper Magnolia Marsh and Talbert Marsh "Living Shoreline. The events are held each month and will be on the third Saturday of the month beginning at 9:00 am and concluding at 12:00 noon. Working with local schools, churches and corporations, the Conservancy has educated our volunteers on: 1) preparing soil for planting marsh plants, 2) learning about native plants for planting and non-native plants for removal, 3) general marsh maintenance, and 4) clean-up of our marshes and dunes. The Conservancy has also been working with schools to help their students meet their community service hour commitments. Whether you are an organization, school, church, scout, club, program or individual, we will work with you to make this a memorable event. 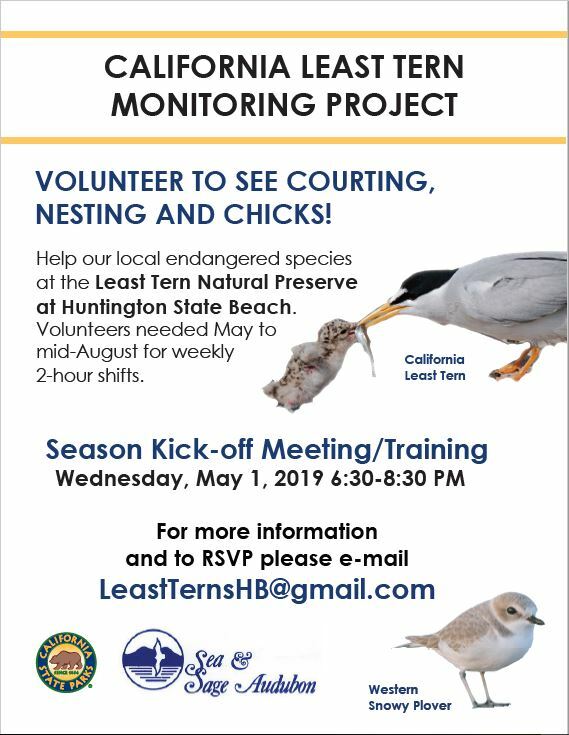 So, feel free to contact the Huntington Beach Wetlands Conservancy to join in on any of these events. No experience or materials are needed.